 Orange County Women’s Chorus | SparkOC.com - The happening place for Arts happenings in the O.C. As we enter our 19th Season, the Orange County Women’s Chorus is stronger than ever! 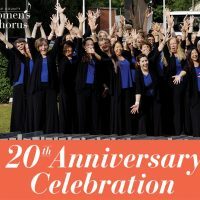 What started with eight enterprising women in a living room has blossomed into one of the top amateur choruses in the region: a 45-voice ensemble performing diverse, challenging, and (above all) enjoyable music from all eras and cultures. 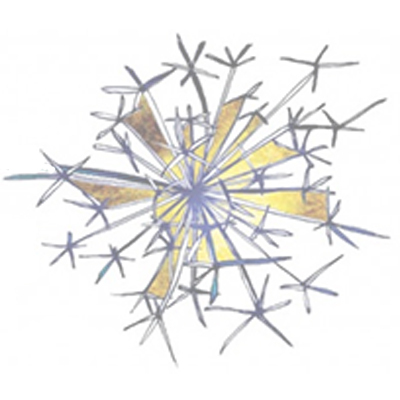 Founded in 1997 under the baton of Dr. Raymond Egan, and directed since 2000 by Eliza Rubenstein, the OCWC has performed in some of our best local venues and with some of our finest local artists. Recent performances have taken us to the Renée and Henry Segerstrom Concert Hall, the Orange County Performing Arts Center, Disney Hall’s REDCAT Theater, the Irvine Barclay Theatre, and the 2012 western-division conference of the American Choral Directors’ Association (one of only 14 choirs invited!). We’ve collaborated with ensembles such as Bel Canto, MenAlive, the Wooden Floor (formerly the Saint Joseph Ballet), the South Coast Symphony, the Agape Voices of Praise, the All-American Boys’ Chorus, and Men in Blaque. 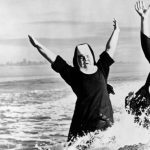 Our wide-ranging repertoire has included medieval chants, multicultural folk songs, classical masterworks, protest songs, gospel tunes, and more. 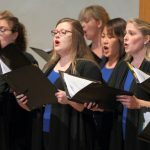 We’re especially proud of our commitment to new music and up-and-coming musicians; we regularly commission new works for women’s voices, and our conducting internship program, designed to encourage young women entering the field of choral conducting, has been a model for other choruses around the nation.